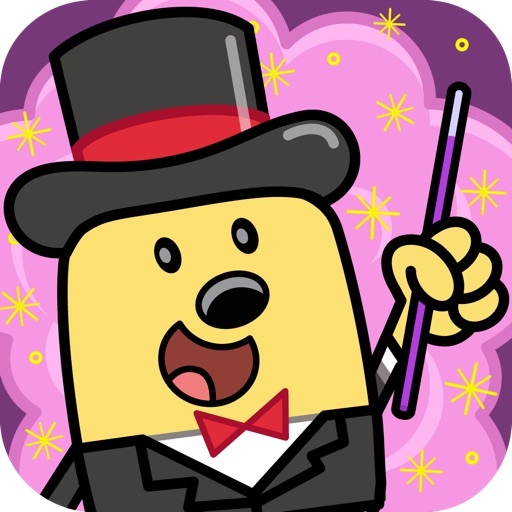 Wubbzy's Magic School by CUPCAKE DIGITAL INC.
Presto-change-o! 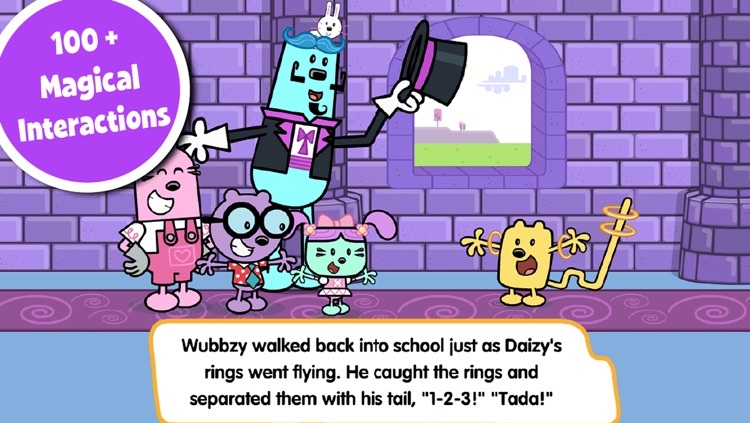 Wubbzy and his friends have a lot of magic to do in this feature-rich, deluxe storybook app, Wubbzy’s Magic School! After a day at Moo Moo the Magician’s Castle, the friends learn that magic really does happen when you believe in yourself and try your hardest. • Hands-on learning activities encourage kids to practice counting, number and shape recognition, sight word recognition, and letter identification. 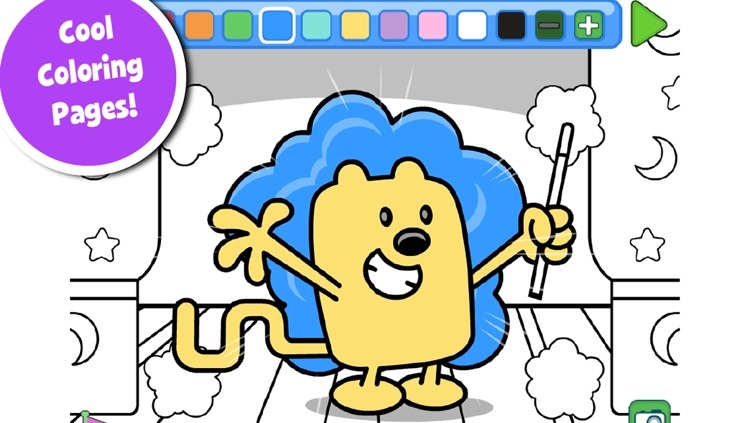 • Creative play opportunities encourage kids to paint, dance and sing with their favorite Wubbzy friends. 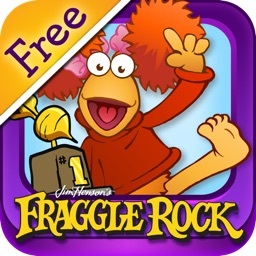 • Early-learning reading skills are reinforced with text highlighting and synched narration. Three reading modes include: Read & Play, Read to Me, and Just a Book, for quiet reading time. 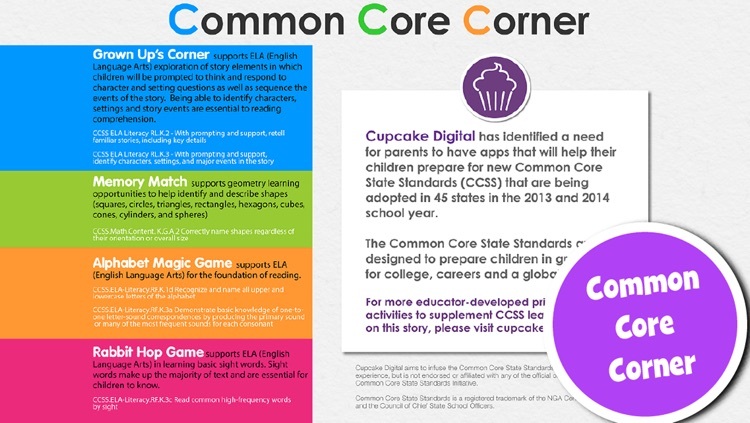 • NEW Common Core Corner details educational experiences infused within the app to help prepare children for the Common Core State Standards (CCSS). 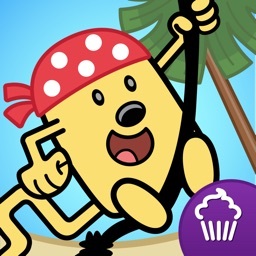 Free downloadable activities and a Parent’s Guide with more tips about how to get your child ready for school are also available on cupcakedigital.com. 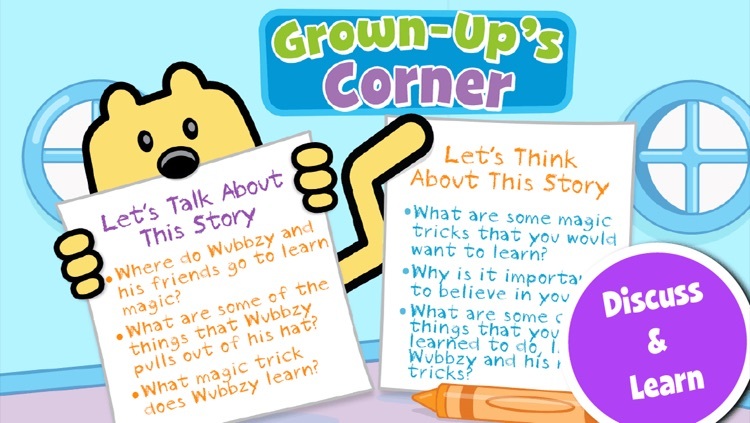 • Grown-up’s Corner offers thoughtful questions designed to spark open-ended conversation and reinforce reading comprehension. Hi parents! 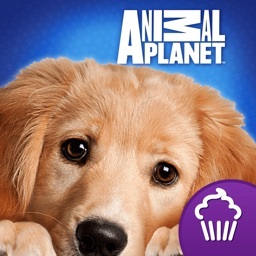 Cupcake Digital is so excited to share this deluxe story experience with you and your child. We know you will be delighted. We care about your kids and their safety, so there are a few things we think you should know. 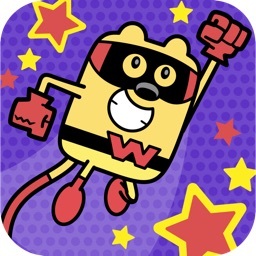 This app contains gated links, ensuring that only adults have the ability to access social networking sites, send e-mail to contact us for help or feedback, and get into the app stores. The gated links are available within the Help section or in the Main menu page, and are not placed within the story, which is designed to be just for kids.